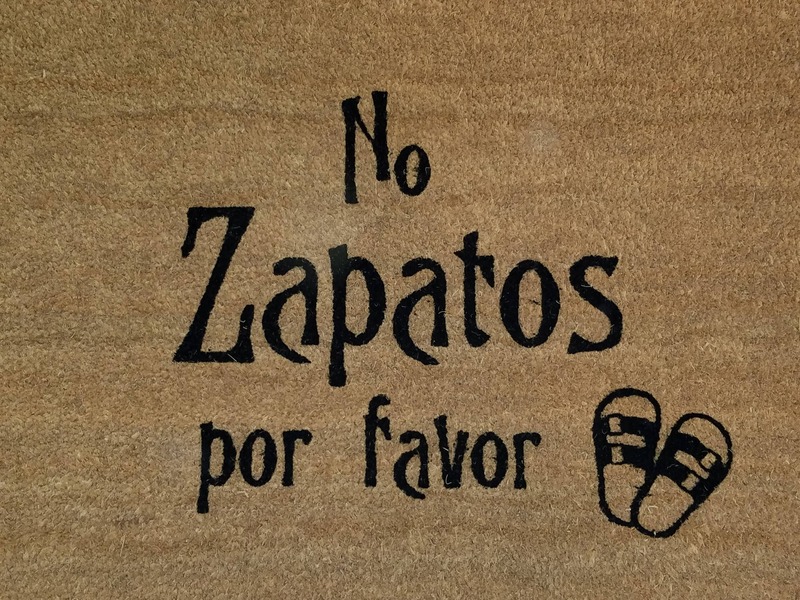 No Zapatos Por Favor. 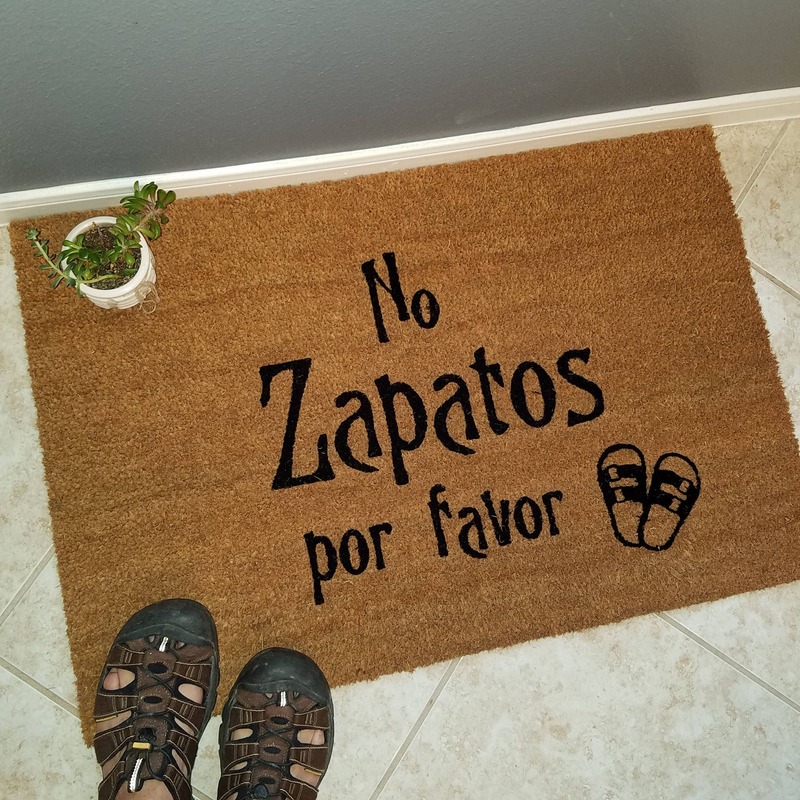 Say it in Spanish - No Shoes Please. 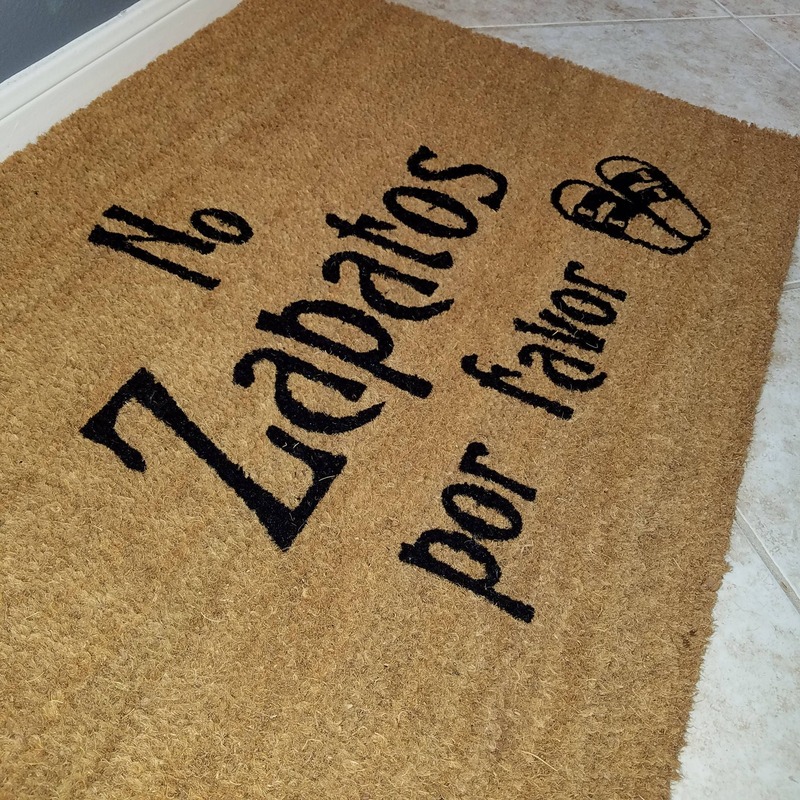 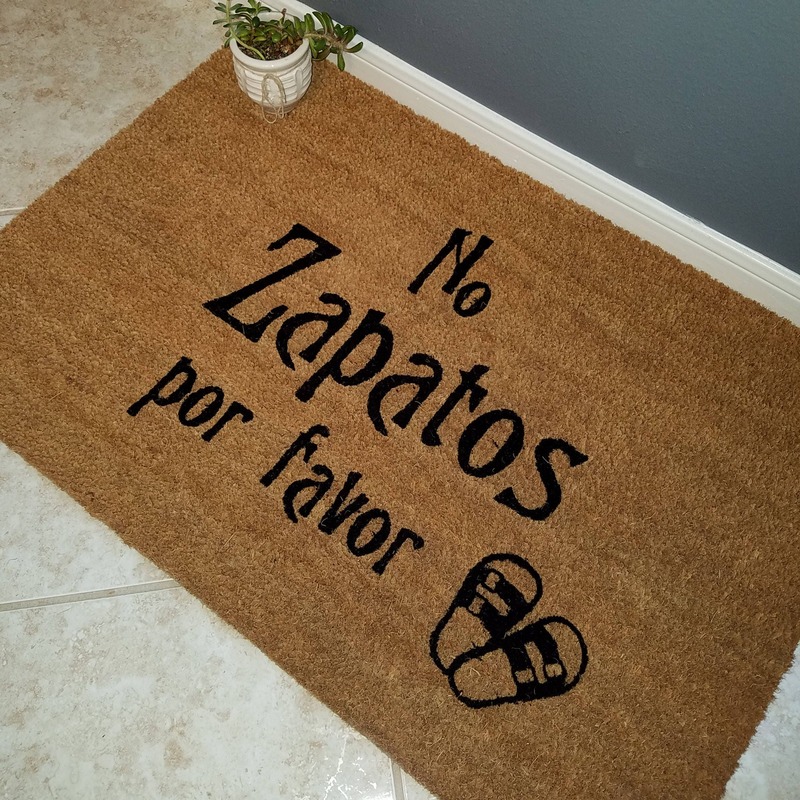 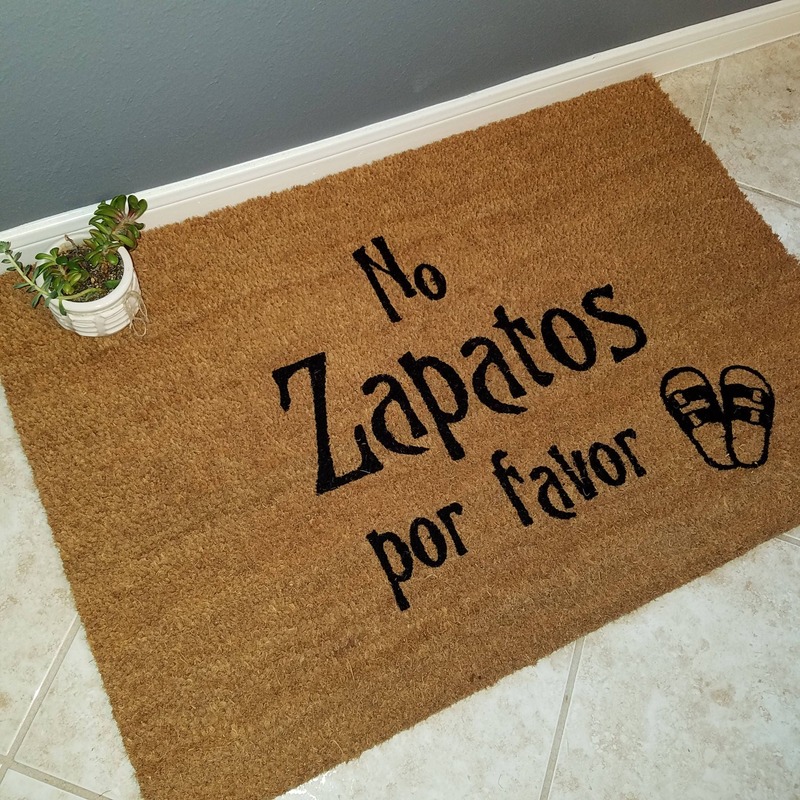 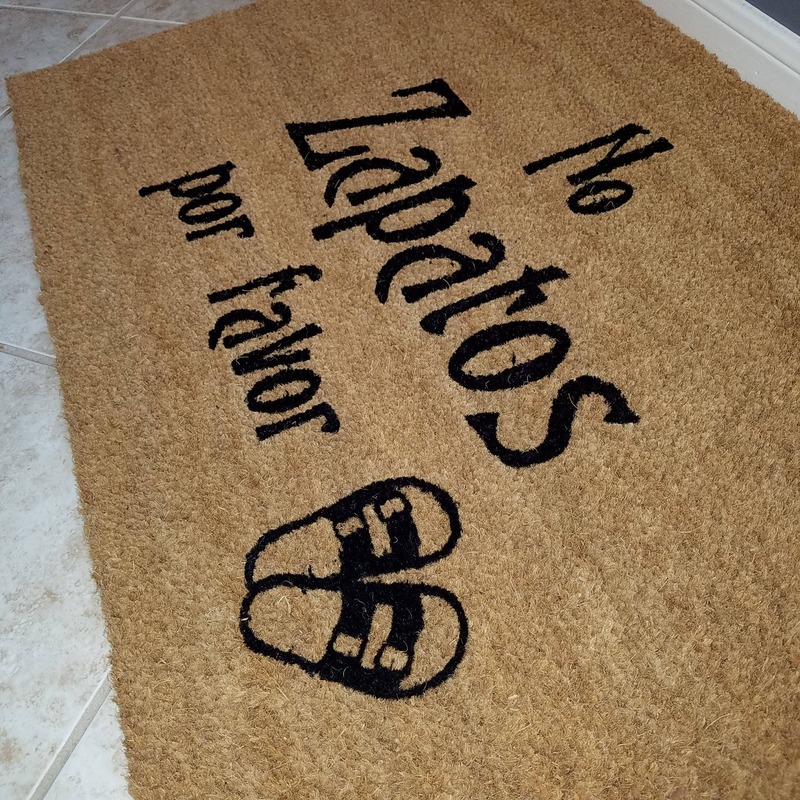 This doormat is simple and elegant with a classic design, and will politely ask your guest to take off their shoes before entering your home.